The summer season can heat up in Eastern Oregon, which also means homeowners are likely spending more money on energy. Staying cool and comfortable in your home usually means running the HVAC system throughout the day and night. If you want to save energy and money at home and keep the heat out, there are a few main steps to take to keep your home cool in the summer. You don’t have to only rely on your air conditioner to keep your home cool in the summer. Make it a point to supplement your AC with your ceiling fans, which let cool air circulate throughout each room. Make sure the fans are cycling counterclockwise You can also open the windows during the night if the air is cool outside after the sun goes down. Another way to keep your home cool in the summer is to close the blinds during the day to prevent sunlight from entering and heating up the house, according to familyhandyman.com. Up to 30 percent of heat transfers into the home through the windows, which makes it a good idea to block the light when the sun is out. 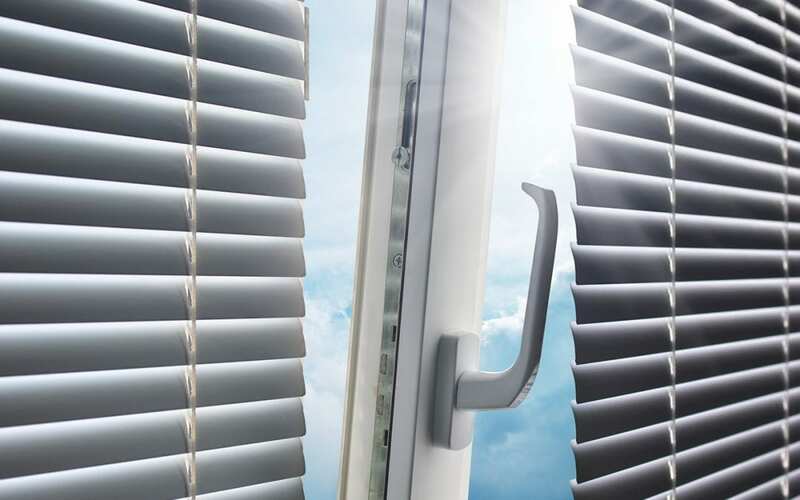 If you don’t want the house to become too dark, consider only closing the blinds on windows that face the west and south, which will help reduce the internal temperature of the home. If you live in a house that has two levels, angle the blinds upward on the first floor of the house to prevent the rays from filtering through the windows. Many people don’t realize that the time of day when they perform tasks and chores around the house can cause them to spend more money. Both the dishwasher and laundry machines use hot water and energy, which can elevate the temperature in the house and cause your AC to work harder. Do your laundry and dishes at night to keep your home cooler. It’s also important to minimize using the oven or stove to cook meals, which will quickly increase the temperature in the building. Consider cooking outdoors on a grill during the summer, or use a crockpot for an easy meal that won’t heat up your home. Apply a heat-reducing film to your windows and sliding glass doors to block UV rays and regulate the internal temperature to keep your home cool in the summer. The film is affordable and doesn’t take long to apply. The material is easy to press onto the glass without the help of a professional and won’t alter the look of the windows from the outside. The film will even help to keep more warm air inside of the house during the winter season. If you plan on primarily being in one area of your home, consider using a portable air conditioner that blows fresh air in your direction when you’re in your home office or are spending time in the living room. It’s an excellent source of cooling and uses a fraction of the energy that is consumed by the HVAC system so you can still be comfortable while spending less money on your electricity to keep your home cool in the summer. Although you may want to save money during the summer season without compromising your comfort, by following these tips you can reduce your energy usage, save money, and keep your home cool in the summer. R. Sorensen Construction & Inspections serves Eastern Oregon with home inspection services including thermal imaging which can pinpoint areas of energy loss in the home. Contact us to schedule any of our home inspection services.